Obituary for Margaret M Lundregan | Donald V. Borgwardt Funeral Home, P.A. 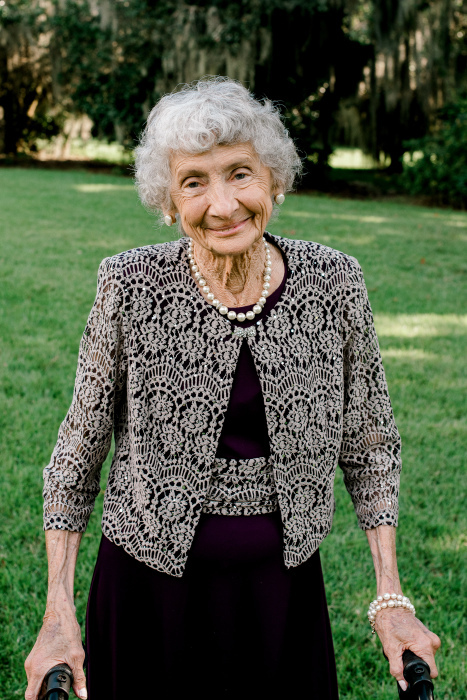 Margaret Mary Johnson Lundregan of Greenbelt, MD passed away peacefully on March 31st at the age of 89. Margaret, lovingly known as “Mimi” by her grandchildren and many others who knew her, was born to Anna Killigan Johnson and Milton Johnson on December 27, 1929 in Hyattsville, MD. She always considered herself very fortunate to have eight siblings, to whom she remained devoted throughout her life. Margaret grew up in Hyattsville, attending St. James Grammar School and Notre Dame High School. Following her graduation, she worked at Georgetown Law School until she married Kenneth Lundregan and started a family. Ken and Margaret settled in Greenbelt, MD in 1955 and spent the rest of their lives there. They raised four children, Mike, Rick, Kathy (Gregory), and Karen, while living in several different houses in their beloved Greenbelt. Margaret and Ken also experienced the joy of raising their granddaughter Rebecca. Margaret was a longtime member of St. Hugh’s Catholic Church and had many friends in the greater Greenbelt community. Margaret was a fun-loving soul who enjoyed singing, dancing, and playing cards, as well as following and discussing current events. However, Margaret’s greatest joy in life was undoubtedly her family, and she spent countless hours with her children and grandchildren, watching them grow and offering endless support. She will be remembered by all who knew her for her unfailing warmth and radiant smile, and will be dearly missed. Margaret was preceded in death by her parents and siblings, her husband Ken, and their son Mike. She is survived by her children Rick (Patti), Kathy (Mark), and Karen, grandchildren Rebecca Randle (Mark), Matt Gregory (Brittany), Megan Welter (Andrew), Morgan Earnest, Kelli Lundregan, Ryan Lundregan, and Brian Gregory, and great-grandchildren James, Olivia, and Beau Welter, and Brooke and Allie Randle, as well as many nieces and nephews. Friends and family are invited to visit with the family at Borgwardt Funeral Home on Wednesday, April 3rd, between 2:00-4:00 and 7:00-9:00 p.m. A funeral mass will be held at St. Hugh’s Catholic Church on Thursday, April 4th, at 10:00 a.m.